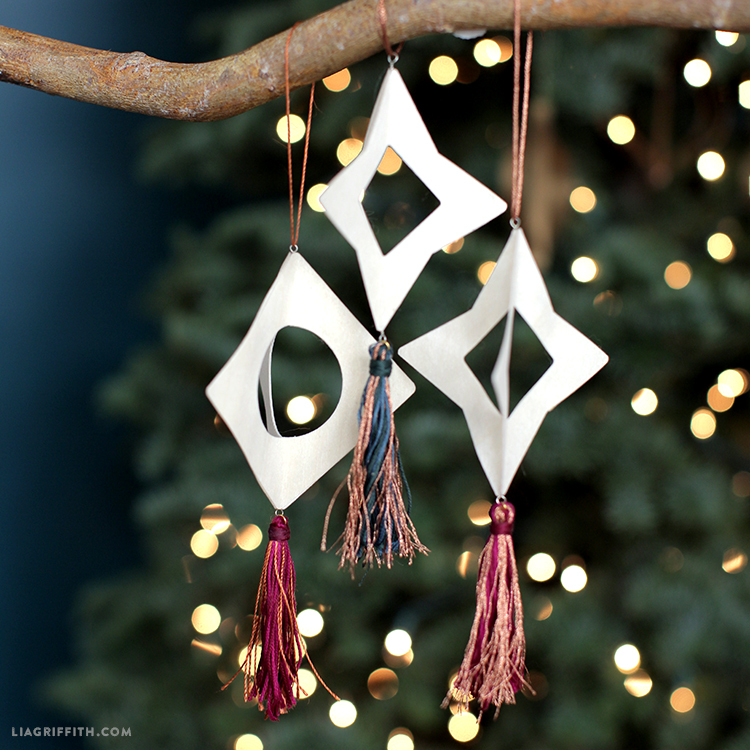 As seen on our 2017 Christmas tree, these DIY wood tassel ornaments are a handcrafted wonder. 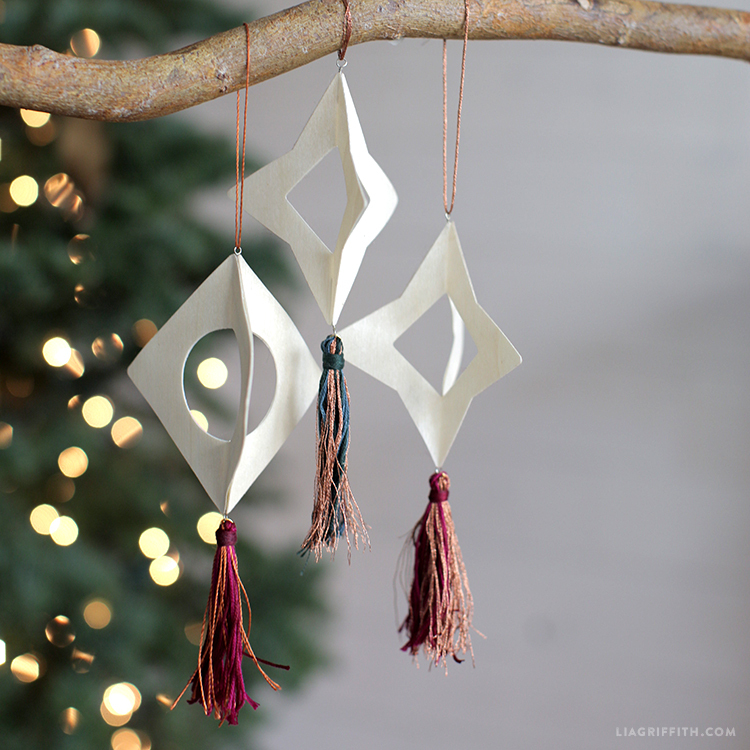 A stunning and stylish addition to any holiday tree! Depending on your Christmas color scheme, use DMC embroidery floss in a palette of your own design. Simply gather the supplies listed below and craft along with our step-by-step tutorial today. Happy Holidays, crafters! Cut the paper according to the pattern notes using scissors or a cutting machine. Cut two 3-inch pieces of wire. Wrap the wire around the round nose pliers, then twist the wire together. Repeat with the second piece of wire. Fold the cut out shapes along the score marks. Peel back half of the backing on two of the cut shapes. Line up the two shapes and stick them together. Peel off the rest of the backing, keep the paper from sticking together and place the wire loops in the seam at the top and bottom. Take the third shape and remove the backing, then line it up with the other two and stick it into place. Wrap the embroidery floss in the colors of your choice around the 4-inch piece of cardboard, then take a jump ring and attach it to the top of your tassel. Cut the bottom of the tassel, then wrap a piece of floss around the top. 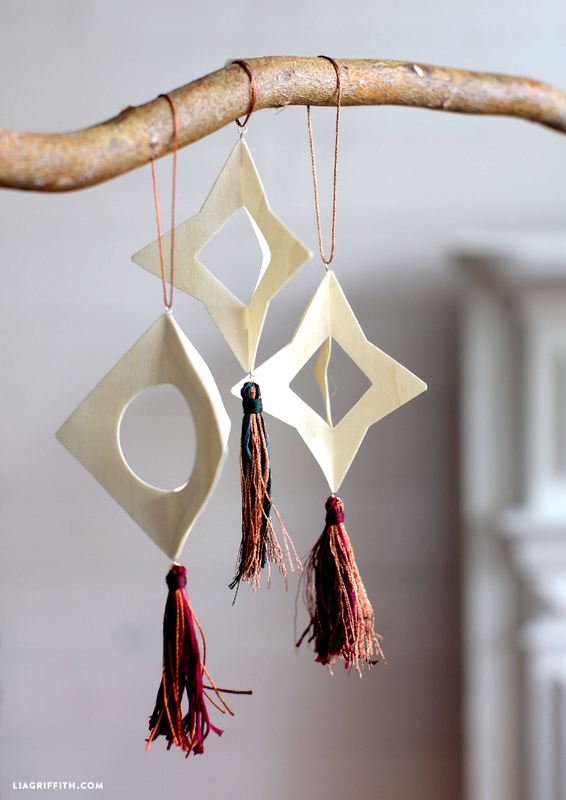 Attach the tassel to the bottom loop of the wood shape with the jump ring, then tie a piece of embroidery floss to the top for hanging. 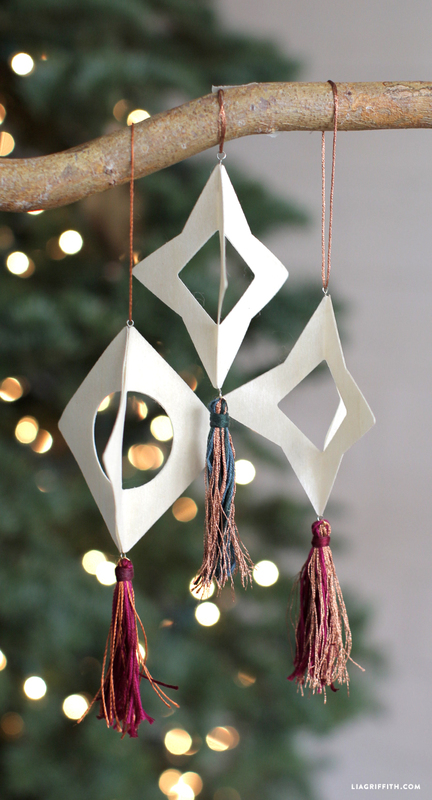 For more DIY ornament projects, click here. To start crafting with us, sign up for your very own Lia Griffith membership today! And be sure to follow us on Instagam, Facebook and Twitter.